Shot Day!! 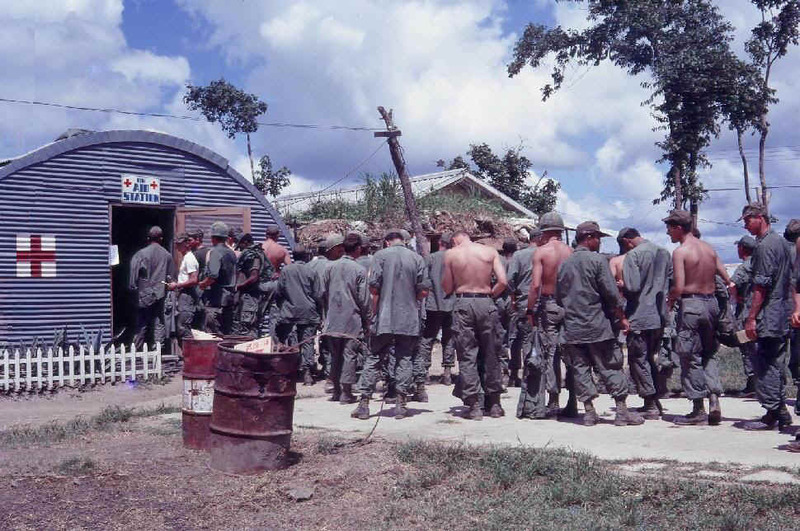 Indications are that this is also the Battalion Aid Station, sometime late in 1968 or early in 1969. Looking for some clarification. Possibly there was more than one building used as the Aid Station (See previous photo....cruz34)....also possibly different buildings used at different times in the period? If you can help with this location identy , please contact Jim Sheppard, Website Committee.